Conceptual Innovations is led by Dr. Elmer Lee, a highly accomplished and innovative engineer. Dr. Lee has earned Ph.D., M.S. and B.S. degrees in Mechanical Engineering from Massachusetts Institute of Technology, he has earned 4 patents, written published articles and presented to peers at international conferences. 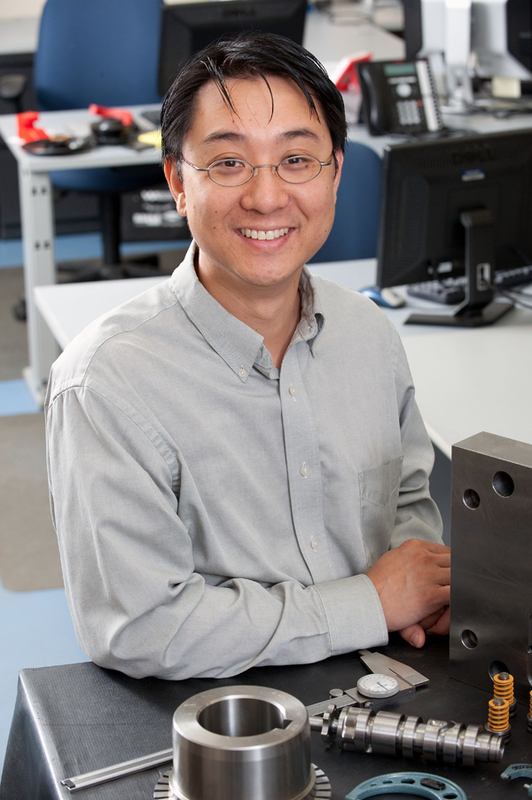 Dr. Lee enjoys working in the fields of automated systems and manufacturing process development. He has designed and led the development of several automated systems, including machinery for process testing, packaging systems, automation cells and drive systems. When asked what interests him, Dr. Lee replied “How mechanical, electrical and control systems come holistically together. The embodiment of one product through three systems that work together”. Dr. Lee also has an interest in helping young engineers grow and develop their skills and knowledge, he volunteers to mentor high school students and donates resources from Conceptual Innovations to developing a robot for competition. 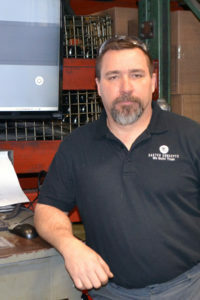 James Proteau is the Production Manager at Conceptual Innovations, personally overseeing the manufacturing of any custom machine or device built by Conceptual Innovations. James joined Conceptual Innovations after a 22 year career in the United States Army as a combat engineer, and then Operations Sergeant. James military training and experience have made him somewhat of a perfectionist which has proven to be a great asset when building custom and unique machinery. His commitment to quality is unparalleled, no detail is small to James. Alex Harden is the Engineering Manager at Conceptual Innovations. He specializes in Testing, and Machine Design. 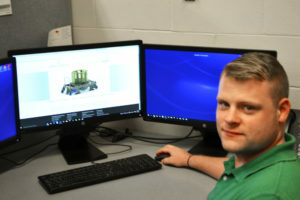 Alex began his career at Conceptual Innovations as an engineering intern, upon graduation from Northern Michigan University with a Bachelor of Science in Mechanical Engineering, Alex joined Conceptual Innovations as a Test Engineer. 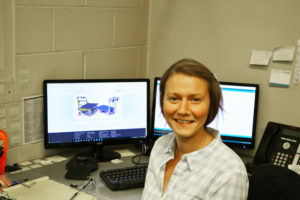 Phoebe Campbell is the newest member of the Conceptual Innovations engineering team, Phoebe compliments the team, focusing on functional design and programming. Phoebe graduated from Grand Valley State University with a Bachelor’s of Science in Mechanical Engineering, and a minor in Studio Art. Prior to joining Conceptual Innovations, Phoebe spent two years as Design Engineer Intern at a furniture manufacturer, where she gained valuable experience in designing for function and flow. Phoebe is also a proud member of the Society of Women Engineers.